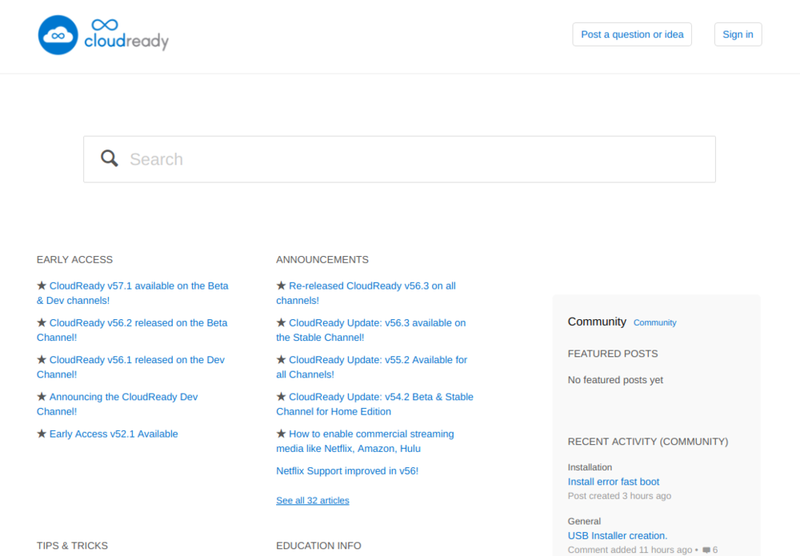 Say hello to our revamped CloudReady Knowledge Base & Community! With the new look in place, all the articles are still there in the Knowledge Base section, with the most relevant ones right on the first page. All previous content from our User Community also remain, just with a makeover. If you are using the Home edition and have a question, check out the articles and community posts under Community section. If you can't find an answer to your question, feel free to start a new thread - we or another member of our user community will respond to your inquiry. If you are a using the Education, Enterprise, VDI, or Office 365 Editions, the Knowledge Base and Install Guide contain everything necessary for deploying and supporting CloudReady. For organizations using these CloudReady Editions, our Sales and Support teams are available to help with any issue or question. Contact us! The Knowledge Base will continue to be updated on a regular basis with more tips and guidance on CloudReady installation and performance. We welcome your feedback and suggestions! Looking forward to many more posts and comments!